While the current surge of immigrant families and unaccompanied children continues to overwhelm detention facilities that are already overcapacity in the Rio Grande Valley sector, new data suggests there is now a rise in the number of adults without children apprehended during the early part of the year. Specifically, February has seen a month-to-month increase of 26% in adults without children, according to new data from the Transactional Records Access Clearinghouse, or TRAC, from 18,678 to 23,451. A data gathering, research and distribution organization at Syracuse University, TRAC’s numbers account for adults without children who U.S. Border Patrol agents apprehended at the southwest border. In February, 23,451 of the 66,450 people apprehended at the southwest border were these adults, according to U.S. Customs and Border Protection statistics. Adults without children also accounted for 18,678 of the 47,986 people apprehended in January, according to the agency’s website. They make up for 38% and 35% of the numbers in January and February, respectively. Adults sent for federal prosecution by CBP decreased more than 10% in February over January, according to the data. “During February 2019, a generous estimate indicates criminal prosecutions had fallen to only 38% of total Border Patrol apprehensions of adults arrested traveling alone and not part of any family group,” TRAC stated. Under the Trump administration’s announced “zero tolerance” policy, adults traveling without children continue to be subject to criminal prosecution for illegal entry. But with apprehensions up and criminal prosecutions down, this left a much larger number who were not referred for criminal prosecution. During fiscal year 2018, which included the zero tolerance period, the Southern District of Texas reported 37,767 new prosecutions, 30,132 of which were for illegal “entry of alien at improper time or place,” a misdemeanor. Also, 3,963 of the prosecutions were for “reentry of deported alien,” according to the data. 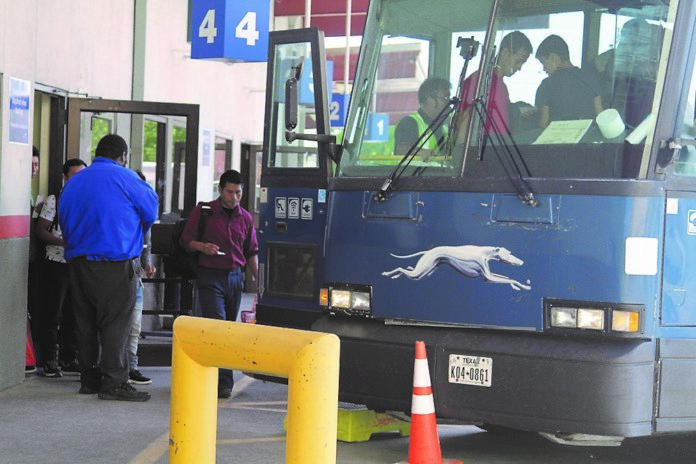 These figures do not count individuals at ports of entry seeking to unlawfully enter using fraudulent documents, nor individuals caught at ports of entry illegally smuggling individuals, drugs or cargo. CBP officials said last week that they expected the March apprehension numbers in the southwest border to surpass 100,000, with about 50% of those apprehensions composed of families, and nearly 10% to be that of unaccompanied children. This created an “overwhelmed” immigration system that can no longer hold the surge of Central American asylum-seekers who are surrendering around ports of entry. Meanwhile, the McAllen federal courthouse saw a continued reduction in reentry and illegal entry cases throughout the week, according to the federal court system website. CBP leads all agencies with more than 90% of the referrals for prosecution. U.S. Department of Homeland Security Secretary Kristjen M. Nielsen announced the redeployment of about 750 CBP officers to the border to help with the large groups of immigrant families. Their reassignment, which could grow from 750 to 2,000 depending on CBP needs, is another step in the administration’s efforts to push the president’s narrative of a national emergency on the U.S.-Mexico border necessitating new immigration laws and barriers. Nielsen, who visited El Paso on Wednesday and joined the president in Calexico on Friday, also directed the expansion of the “Return to Mexico” initiative, a DHS program to return immigrants to Mexico to wait during their respective U.S. immigration proceedings. The directive specifically requests CBP to “return hundreds” of migrants to Mexico, including migrants apprehended or encountered at or between ports of entry, and will direct a plan to expand the program “beyond the locations in which it currently operates in California and Texas,” according to the DHS release. President Trump on Thursday also backed off his threat to close the U.S.-Mexico border but issued a new one, warning of auto tariffs if Mexico does not help stop the flow of asylum-seekers. The threat of the shutdown was enough to prompt a bipartisan response of concern. Locally, U.S. Reps. Vicente Gonzalez, D-McAllen, Henry Cuellar, D-Laredo and Filemón Vela, D-Brownsville, also did not take it lightly. “Shutting down the border would have disastrous consequences for both the U.S. and Mexico. Every day, $1.5 billion worth of cargo moves across our ports of entry to and from our southern neighbor,” Cuellar said in a joint news release with Gonzalez and Vela. On Sunday, members of Homeland Security will tour several facilities along the border, including the Port Isabel Detention Center on Sunday. Despite the rise in apprehensions, rates still remain significantly lower than the numbers seen in the 1980s, 90s and early 2000s, according to the agency’s website. In fiscal year 2018, Border Patrol recorded 396,579 apprehensions between ports of entry on the southwest border. The apprehensions in 2018 are more than 55% lower than about 10 years ago, when Border Patrol apprehended 876,704 immigrants in 2007, statistics show. In 1999, Border Patrol made 1,570,010 apprehensions, the most apprehensions since it began compiling data in 1925, and over 75% more apprehensions than what was recorded in 2018.